Clemency Burton-Hill presents Radio 3's classical breakfast show, featuring the Best of British Music Playlist, compiled from listener requests. 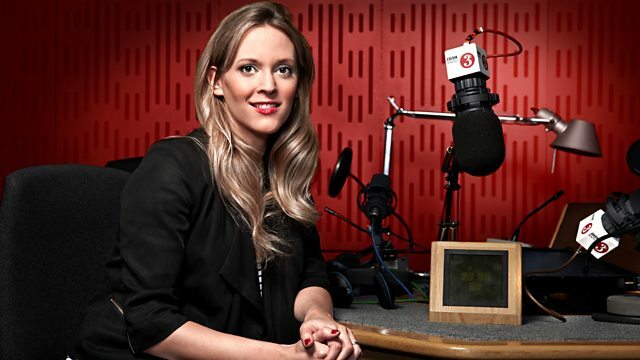 Clemency Burton-Hill presents Radio 3's lively classical music breakfast show, featuring the now well-established and popular "Bach Before 7" slot for early birds. We are now well over half-way through our year-long project, the "Breakfast Best of British Playlist", which is compiled from suggestions sent in by listeners. Have a look at the list so far on the Breakfast homepage and let us know what you think might be missing! You can also listen to the music on the list so far through the BBC Playlister app. Plus we want to hear about your musical passions and discoveries, and about your musical plans for the summer - perhaps a local festival or a concert that you are involved in. Email 3breakfast@bbc.co.uk. Conductor: Norman Del Mar. Orchestra: Royal Philharmonic Orchestra. Elgar: Enigma variations/Pomp and circumstance marches: Royal Philharmonic/Del M.
Music Arranger: Charles‐Marie Widor. Performer: Ben van Oosten. Widor - Complete Organ Works Vol.7. Conductor: Christopher Hogwood. Orchestra: Academy of Ancient Music. Performer: Andrew Manze. Singer: Ingveldur Ýr Jónsdóttir. Orchestra: Iceland Symphony Orchestra. Conductor: Anne Manson. Jon Leifs: Hafis and other works. Performer: Matthias Kirschnereit. Conductor: Lavard Skou-Larsen. Orchestra: German Chamber Academy of Neuss am Rhein. G. Fr. Handel: Piano Concertos 13-16. Performer: Michael Collins. Performer: Paul Watkins. Performer: Ian Brown. Singer: Valerie Masterson. Conductor: Royston Nash. Orchestra: Royal Philharmonic Orchestra. Gilbert and Sullivan: The Mikado. Grieg: Peer Gynt/Holberg Suite: Marriner. Orient-Occident II: Hommage a la Syrie. Orchestra: Mozarteum Orchester Salzburg. Conductor: Leopold Hager. Performer: Hermann Baumann. Performer: Roger Vignoles. Singer: Anne Schwanewilms. Richard Strauss - The Complete Songs 2. Glass: Symphonies Nos.2 and 3. Music Arranger: Joseph Joachim. Performer: Baiba Skride. Performer: Lauma Skride. Music Arranger: Myra Hess. Performer: Dame Moura Lympany. Conductor: Andrew Manze. Orchestra: BBC Scottish Symphony Orchestra. Performer: Natalie Clein. Concerto for flute, strings and continuo (RV.431a) in D major "Il Gran Mogol"
Director: Federico Maria Sardelli. Orchestra: Modo Antiquo. Performer: Alexis Kossenko. Conductor: Michel Plasson. Orchestra: Orchestre du Capitole de Toulouse.